We have a great show offer on! Is your play area safe? We can inspect it for you. 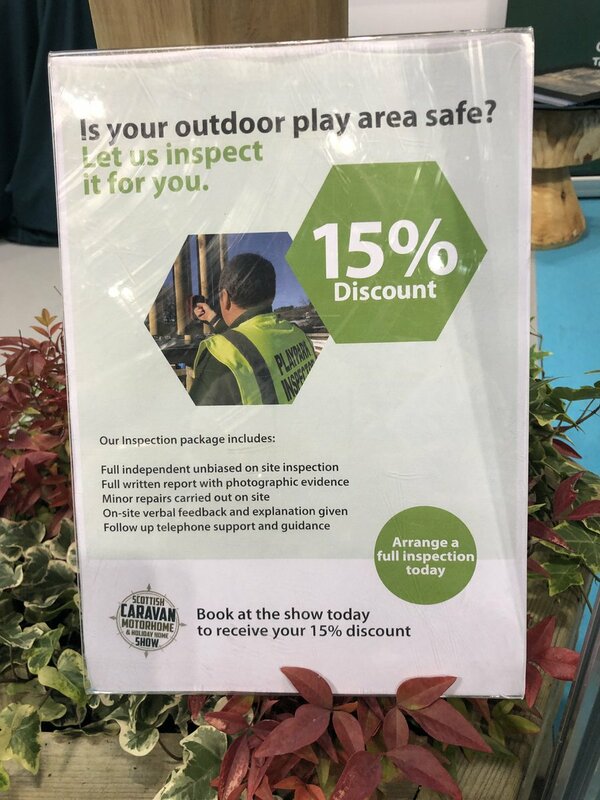 And if you book at the Scottish Caravan, Motor Home and Holiday Home Show you will receive 15% off. Our Inspection Service includes a full written report and we will also do minor repairs on site. We will also be on hand to discuss play equipment for your organisation so that you can increase footfall and encourage visitors to return. The show is on from the 7 – 10 February 2019 at the SEC in Glasgow. Come and meet our sales team and discuss the show offer. We will be in Hall 4, Stand P478.